I love that quote by Tony Wagner, author of Creating Innovators and Most Likely to Succeed. We can possess all of the knowledge in the world but if we’re not doing anything with it, then what’s the point? This week, I was fortunate to see what students and teachers are doing with their knowledge. In this blog, I get to show you what I’m doing with mine! Often, I ask myself, “How do I make it bigger? How do I further my reach? How can I do MORE with the knowledge (mostly surrounding EdTech) that I have?” All of these different tools, strategies, and ideas don’t really serve a purpose just sitting in my brain…how do we do more? Google does it all the time: more. They are constantly updating and upgrading to try to do more for teachers, students and overall their consumers. Locked Mode in Google Forms is one example of this. If you haven’t tried Locked Forms yet, it’s a pretty neat experience. The Chromebook goes, almost, into kiosk mode. There are no tabs available for the students to click on. The students can close the Form and access other tabs, but all data would be lost as a result (which is stated right on the form). The only downfall…GoGuardian does not run when the Locked Form is active. The students appear as “offline” when running the teacher dashboard AND a locked form. Again, it’s what you do with what you know…I learned I could BLUR faces in my YouTube videos! Take a look at the video above to see an example, and take a look at the tutorial below to see how to do this! It comes in handy if you have any students or staff who do not wish to be filmed. You could also do some fun video projects with this feature. For instance, you know when they interview someone for a crime show that doesn’t wish to be seen? That would be a fun type of project to work into the curriculum – “witness testimony”! I’ve mentioned Edulastic before, but this week I was able to see some of the data that was generated from this awesome assessment tool. Similar to Online Mcas, this assessment tool has a variety of question types and includes a bank where you can choose questions. You can also create your own. Many surrounding High Schools are starting to use this site as their online test prep. It works across all subject areas and even includes previous years’ MCAS questions. My good friend, an amazing teacher, and MassCUE President Rayna Freedman recently told me about Wolfram Alpha. It’s certainly not new, but it’s new to me! WHAT am I doing to do with it? Well, share it with you of course. I will also analyze how I can use it for myself. I highly encourage you to check it out, mostly because it’s SO VERY COOL. According to the site “Wolfram|Alpha is a unique engine for computing answers and providing knowledge. It works by using its vast store of expert-level knowledge and algorithms to automatically answer questions, do analysis and generate reports.” Again, what can we do with this knowledge? What will you do? Check out this amazing site here! Happy Vacation Everyone! Teaching is Tiring (and worth it) and I wish you all a restful break! I often think of my own children when I think about choice and expression. What do I do when I want my kiddos to eat vegetables…do I just put them on the plate and say EAT THEM? Well, yes…sometimes I do – because sometimes there are MUST DOs. However, sometimes, I really want them to eat some good stuff – like before a soccer game. So how do I get them to eat more, and want to eat it?! 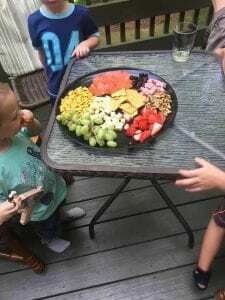 I cut up as many vegetables and fruits as I can, I put it on a platter, and put it in the center of the table. The same vegetables that I will have the argument over if just PUT them on the plate – magically get eaten. How many Pinterest posts do you see of food being made to look all sorts of cute (engaging) so kids will eat it?! How many secret recipes do you make to “hide” the veggies? Have you done this? Prepare food in a different way, or different presentation so someone will eat it? 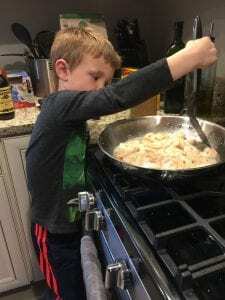 Sometimes, I let my kids cook the food – and that same food that they turn their nose up at (shrimp) now becomes appealing because they had a stake in it. They know the love and work that went into making the food, and it makes it that much more appealing. In our own lives, we have choices of how we express ourselves as both individuals and also as teachers. We can choose to dress and present ourselves a certain way, we can also teach and present material in the way we choose. Think about the excitement and empowerment you feel when you’ve curated just the right lesson. YOU were able to choose that activity, lesson, idea etc So why not allow students the same choice? How can we allow students to choose how they show knowledge best? 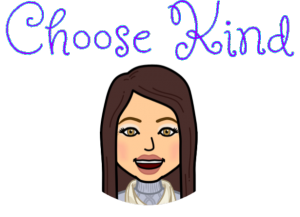 Let’s EMPOWER and EXCITE our learners by providing them with a choice! Just like my children with their vegetables, choice can produce some magical outcomes! Did you know that when we offer students multiples ways to express learning we’re actually activating a whole network of the brain?! Pretty incredible right?! By maximizing the different networks of the brain, we are increasing student learning and success! So how can we give choice in expression? There are so many options we can give to students in how they can express knowledge. They could take an assessment, write a paper, record a video, create a project etc. Whichever way they choose, the rubric to assess could still remain the same! Seeing what students choose is eye-opening, and gives us some insight into their learning styles! Infographics can be BEAUTIFUL ways for students to express knowledge – think Digital Poster. They can include information, images, links, animations and plenty of other cool features! PiktoChart and Canva are two great (free) tools to use to make Infographics. The advantage to these tools, over say Google Draw (a personal fav), is that they have some canned content you can use. Lots of speech bubbles, shapes, frames, backgrounds etc. As always, let me know if you need help with these tools! If you’re looking for a cool Slide Presentation tool that goes a little beyond Google Slides (gasp!) 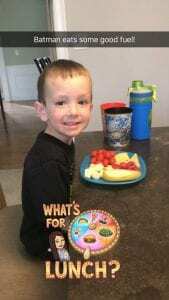 check out Animaker or Powtoon. Both are free (although do have premium options) and allow students to make some pretty cool presentations! Check out a video example below of a current 6th grade project we’re working on! So, next time you need to assess a standard, how about a Choice Board for student expression? For instance, students can write an essay, make a Digital Book, create a presentation, or make a poster (digital or drawn). I find giving choice, but not too many, can provide some parameters for those that can get overwhelmed. Switch out your choices with different assignments – offer a test as an option or a make a video! Not every student learns the same way, so why give everyone the same assessment? Provide the same rubric for everyone with the key points, and see the magic happen. Let me know if you give this a whirl, I’d love to see it in action! Sometimes it’s the little things that we need…Take a look at this SHORT video clip here to see how you can take your Google Format and convert it into PDF, Microsoft, or other formats. Don’t Forget that Holiday Tech! Click the link here for my Holiday Tech Google Doc! Once again, thank you for choosing this blog! I hope you are all having a FABULOUS week! Spring has sprung and with it a whole slew of NEW ideas 💡! I certainly cannot wait to throw on a pair of flipflops, hence my title this week. Let’s “flipflop” away from MCAS style tests when we can! We are deep into the first rounds of MCAS here in Massachusetts and students are doing their best at showing what they know. Can what we truly know and are able to do, be measured by just one test? On just one (or two) days? Of course not! Our students are hungry for other ways to show knowledge, other ways to be assessed! Therefore, I chose to focus on alternative assessment ideas other than your standard paper/pencil or online test 📝. Kasey Bell and Matt Miller had some great suggestions on their Podcast this week that I included below among other ideas. Their Podcast Channel is certainly worth a listen. Check out my post below for some alternative assessing ideas! This FREE site is so cool! Workbench is a collection of projects already designed for you, ready to push out into Google Classroom. Many of them have multiple steps, where students work together, at their own pace to show knowledge. Many of the projects involve a writing component, an active (doing) component, and an area to upload images as well. Project-based learning is a great learning process for students and a great way for students to show knowledge! I’ve seen teachers assign topics to students to teach the class! What a great way to show and share knowledge. Many times I see Google Slides being used as the presentation tool of choice. Although I LOVE Slides, I see some teachers and students moving towards other tools. A student in Janice Griffin’s ELA class chose Animaker for a book trailer – so cool, check it out below (excuse the one small spelling error in this fabulous project)! How about having kids make an online digital poster with information and graphics to demonstrate mastery? If you google “infographics” you will find a whole bunch of GREAT resources! There are MANY awesome sites that you can use to create InfoGraphics such as PiktoChart, Canva, Adobe Spark, and even Google Slides (my personal favorite!). Creating an inforgraphic utilizes many great skills aside from technical skills – students are researching and analysing the best information to be included in addition to using digital skills as well. Check out the video below on how to use Google Slides for a cool InfoGraphic! And of course, VIDEO is a GREAT way to have students demonstrate knowledge. Unless you live under a rock, I’m sure you’ve heard of Flipgrid! Flipgrid is one of many tools that allows one to easily create a quick video that is then placed in a grid. Recently, Sean Fahey and Karly Moura, two great Ed Techies, published a free online book on using Flipgrid. The book also includes some great ideas on how to use it. Click here for the free book. Just this week Flipgrid also released a new feature called FlipGrid Templates. This is a GREAT feature which gives you some premade templates for flipped ideas. Let’s Recap and SeeSaw are also GREAT sites that also allow for video creation placing videos in a safe location to view. In the article, “50 awesome apps that integrate with Google Classroom” the amazingly, awesome Kasey Bell features many great apps. Padlet, Pear Deck, and IXL are a few she lists as being great apps that integrate with Classroom. Another she mentions, Open Ed, is also an incredible resource. OpenEd does have online assessments but also has other assignments as well as you can see in the screenshot below. The best part of Open Ed, other than it’s free, is that it integrates with Classroom! Woohoo! I hope everyone is having a great start to 2018! My resolution is to see more of you and your students in 2018! So far so good, we’ve started Digital Portfolios in a number of classrooms from grades 2-11, tech trainings are starting at the JRSRHS after school next week as well as a pilot of teacher devices, and PLCs continue at both GWMMS and Central. Wow – it is GREAT to be a Viking! Let’s try something new this year with technology! How about using some video inside Google Classroom?! Let’s make that happen! Book me to come in by clicking here. This site/app is pretty cool! You can give an assessment digitally or on paper and it will score it for you. Simply, scan the paper bubble sheet with your phone! This would work well if you wanted to give students a choice in how they take a multiple-choice assessment. The paper grade and digital grade are both released to students digitally. The only downfall is the free version is limited in how many paper scans you get per month. Click Here to check out Quick Key! This great resource has been mentioned in the past, but it’s worth a second mention (as are many tech sites)! Why, you ask? The answer is because John Orr, a math teacher, has put together a Google Sheet of resources for grades 7-12 full of Desmos Activities for grades 7-12! Desmos is a great online graphing calculator. There is so much you can do with this FREE site! Do you like to have students create Google Slide Decks for projects or class activities? Do you like to create them yourself for your classes? If you’re looking for some different backgrounds to use on Slides, you can find FREE Instagram and Time Magazine templates to use in Google Slides. There are other (paid) templates as well, but I really enjoyed the free ones! Outline Maps is a simple set of games that you could use in an elementary school or middle school setting to help students learn the names and locations of countries and states. The site is a little short on decorative graphics that you will find on other game sites, but I kind of like the minimalist style of Outline Maps. I am so very thankful to work with you, thankful to work in a great town with great kids, thankful for great bosses, thankful for all of the technology we have here, and thankful for all the support that’s given to me by you! Thank you. I hope everyone has a great holiday weekend! It will be a crazy few weeks when we come back especially with all of the December holidays approaching! Be on the lookout for Holiday Tech as I find it! I will compile it into a great list for you, separate from the Blog (but still featured here). Until then….I had some AWESOME appointments this week, here is some of the tech that came out of them! Thank you to the teachers and staff that had me come in. Special Shout Out to Melanie Lanni who booked me for document merge award certificates – I had so much fun with that! I was booked this week for a great appointment to go over Go Formative! Go Formative is a digital assessment tool and can be used, similar to Pear Deck, in a live format or for online assessments (similar to Forms). 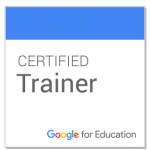 This program now integrates with Google Classroom, making easier than ever to send out a digital assessment. Every grade, aside from grade 10, will take an online MCAS this year. 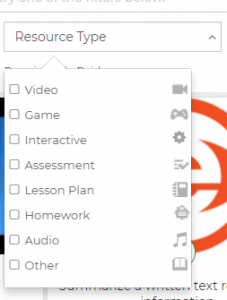 Formative has similar question styles to MCAS such as Multiple Select, Multiple Choice, Show your work (MATH! ), and Short Answer. Drum Roll….the best part….YOU CAN UPLOAD YOUR ALREADY EXISTING TEST AND JUST INSERT AN ANSWER KEY! No retyping or copying and pasting, and Formative generates great data and item analysis too! This is a Super Tool for all types of assessments, including just daily check-ins! Check it out today! Thank you, Melanie, for booking me for this task this week! Document Merges are AWESOME! Picture creating hundreds of personalized documents, letters, or certificates for students with a single spreadsheet and template. Check out the video below if interested! This is cute! The movie Wonder recently came out and it is based on one of the best children’s chapter books I’ve ever read! To promote the movie, the movie company released an extension. It will turn hate on social media to kind words. Take a look at the very brief video below to see! This post (click here) from Richard Byrne includes a great rundown of resources to use in the classroom with Math. It has apps, youtube suggestions, lessons and more! It encompasses math from PreK to grade 12. That’s all I’m throwing out there for you! Enjoy!